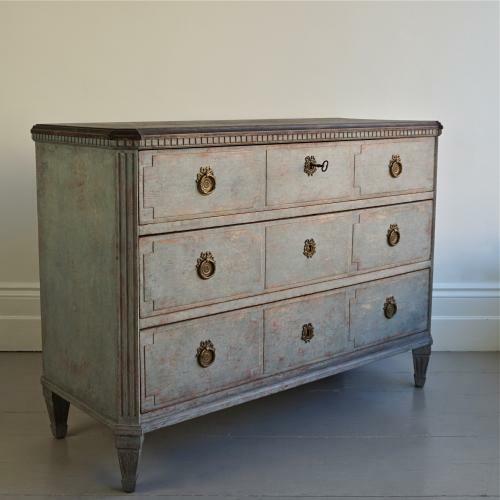 A magnificent, richly carved 19th century Gustavian style chest with an exquisite deep blue/grey patina and faux painted black marble-top. Featuring canted and fluted corners, dentil trim and decorative raised panelled drawer fronts. Swedish, circa 1860.